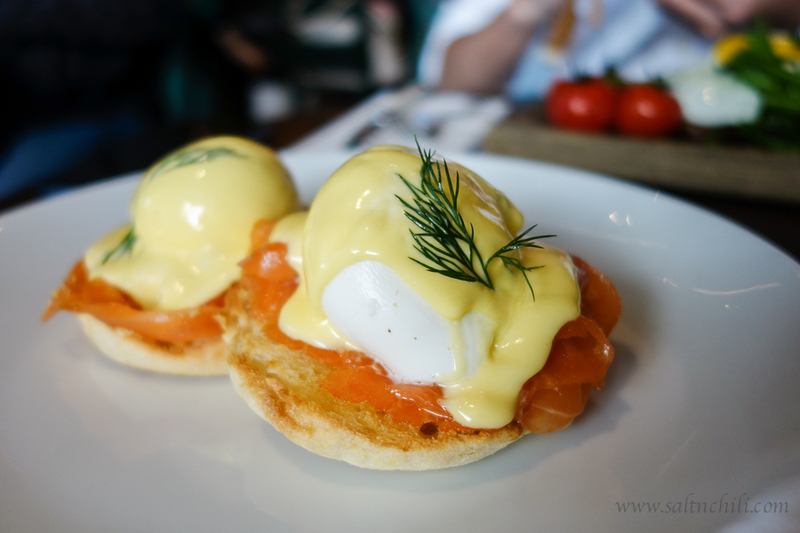 We had a double date brunch with another couple a few weeks back at Aberdeen Street Social. It turned out to be the perfect venue for friends to hang out, catch up and enjoy a very late breakfast. Serving modern British cuisine, Aberdeen Street Social is Michelin-star, Jason Atherton’s third restaurant in Hong Kong. Located near the Hollywood Street and Aberdeen Street entrance of PMQ (they newly transformed Police Married Quarters), this 2-storey restaurant has an outdoor patio overlooking a garden terrace. The upper floor is for intimate dining and the ground floor a cocktail bar and café, a more casual space for all day dining. 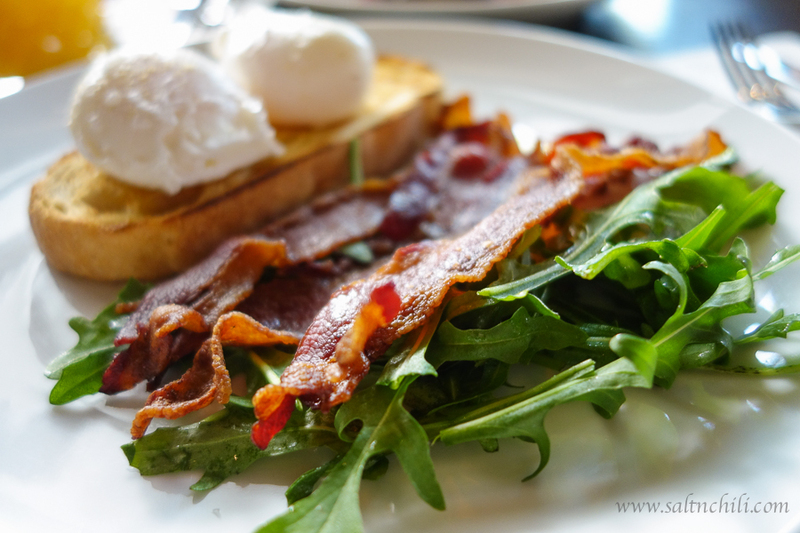 Their brunch menu has a selection of brunch classics with a modern touch, such as the Lobster Benedict and the ‘Pork Belly’ Caesar Salad. 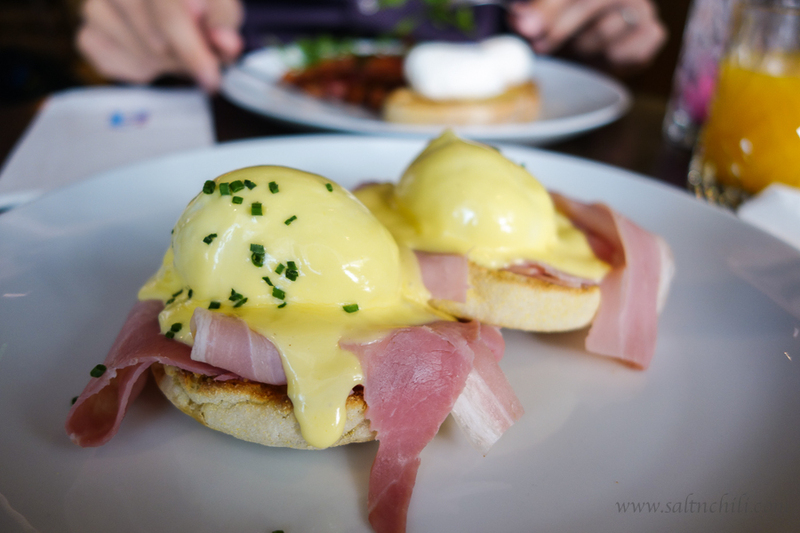 Hubby and I stuck to the classics of an Eggs Benedict and a Poached Eggs and Bacon. 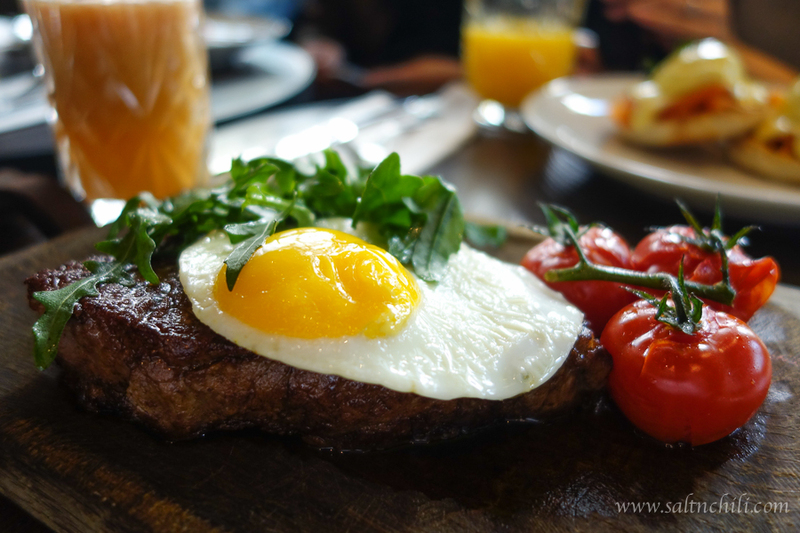 The lovely Kx2 couple had a Eggs Royale and a protein rich Steak and Fried Eggs. The dishes the guy’s ordered were beautifully plated, while the Eggs Benedict the gals ordered lacked the visual flair. The plates looked sad and empty with just the poached eggs on the English muffins, if only they added couple of greens on the side we would’ve been happier. Other than the visual appeal, I was satisfied with the oozing eggs and spot on Hollandaise sauce. Aberdeen Street Social has an extensive dessert menu (Sweet Social) even for brunch, but we didn’t stay as we wanted to scope out the other dessert places at PMQ. This buzzing restaurant comes with a price tag of 200+ per person for brunch, with detox juices running at $75 a pop. Nontheless I enjoyed the double date meal and look forward to going back and trying their dinner menu which has received rave reviews. 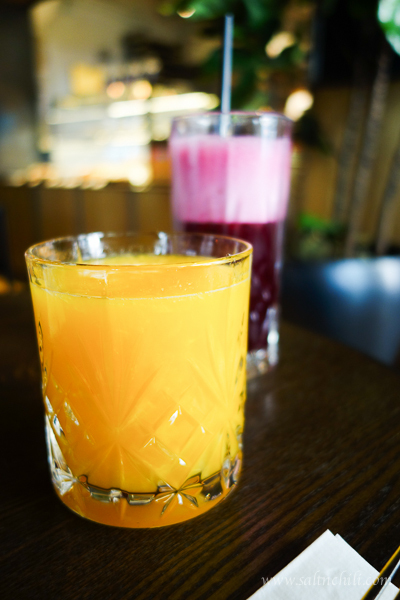 Brunch is served on weekends and Public Holidays from 11:30am to 4pm.